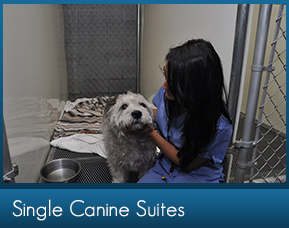 When you are on a well-deserved vacation or out-of-town business trip, your dog will love our Pet Hotel. Your dog will have his or her own comfortable, reliable, safe, clean and fun vacation of their own! At Montrose Animal Hospital, our supervised boarding service includes a nutritional diet, multiple walks and cuddle time with our professional, loving staff. 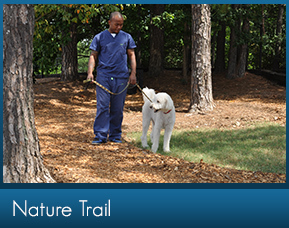 Owners who have dogs with medical needs can be assured that their pet will be properly supervised by our staff. A veterinarian is in contact with our staff after hours and on weekends for dogs that are boarding at our clinic. Boarding Dogs Can Play in our Doggie Day Care! 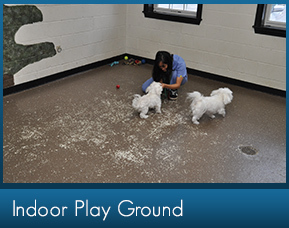 Dogs who board with us also have the option of “playtime” in our Doggie Day Care, even on the weekends. Doggie Day care can eliminate the boredom and stress of boarding, and wears them out so they sleep all night long. In order to provide a relaxing stay for your pet, our staff collects as much information from you as possible, such as medical needs, activity level, feeding frequency and amount as well as your pet’s favorite petting spots! We understand that each pet is unique and we strive to care for each pet individually. For your pet's protection, all dogs that board with us must be current on vaccinations and free of internal and external parasites. The canine influenza vaccine is mandatory for all boarding dogs. 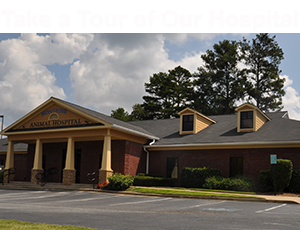 Our staff takes pride in caring for your precious pets while you are away by providing a clean, safe, and loving environment. Our staff is trained to carefully monitor your pet's health, safety and well-being while boarding. Our Pet Hotel is full of happy dogs during the holidays so please book your dog’s stay with us as early as you can. 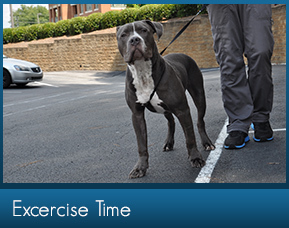 Outdoor exercise is crucial to keeping your dogs stress level down while your away. Group Playtime is a fun option to give you dog while boarding. Our indoor play room has plenty of space and toys for dogs to keep themselves occupied and stress free. 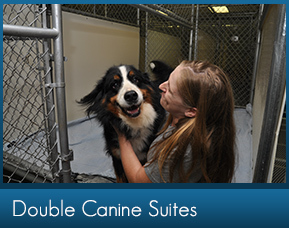 We offer our exclusive double K-9 suites as a more spacious option for a dog that just wants more space, or for multiple dogs boarding together. 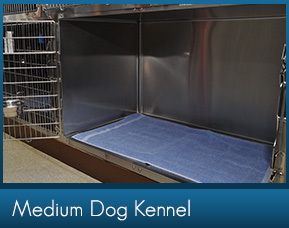 All small and medium size dogs up to 25 lbs board in a separate area from the large dogs. Fresh bedding is provided constantly through out the day for your pets comfort. 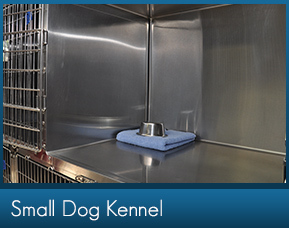 Stainless steel kennels provide a sanitary space that allows your little dog to feel comfortable and secure during their stay with us.